It is often said that doing digital marketing without the proper analytics is like flying blind. Having access to up-to-date data is certainly critical for informing your marketing decisions, but it’s not enough to just have the data. You also need to interpret it, and to draw the right implications. EverythingOnline can assist you in every step of the analytics process—setting up the right analytic dashboards, defining key metrics, generating reports, and digesting what those reports say. With our guidance, you can see for yourself what kinds of results your digital marketing gets—and make course corrections as needed. Analytics and tracking are a big part of what we do at EverythingOnline. Our passion is for helping our clients improve their bottom line. That means doing things that work and jettisoning the things that don’t—but how do you know which is which? And how can you tell that you’re really getting a return on your investment? The answer, in both cases, is analytics—and we invite you to learn more about our approach to this important field. EverythingOnline boasts a team of top marketing talents, devoted to providing services that get results on your brand’s behalf. No matter your Web analytic needs, EverythingOnline can help you meet them. 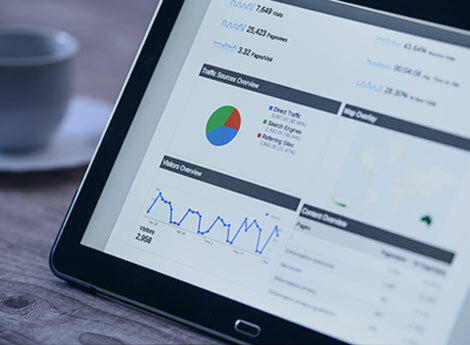 Contact us now to learn more about our analytics expertise. EverythingOnline is not like other digital marketing agencies. We strive to provide high quality services for low prices, and to actually reduce your marketing spend while improving your results. Basically, we want to do what works. We want to do what gets results. To make that happen, we lean heavily on advanced tracking and analytics, and ensure that everything we do is data-driven. We’d love to talk with you further about our numbers-based approach, our years of digital marketing experience, and our drive to do what works on our clients’ behalf. Reach out to EverythingOnline today to start the conversation.